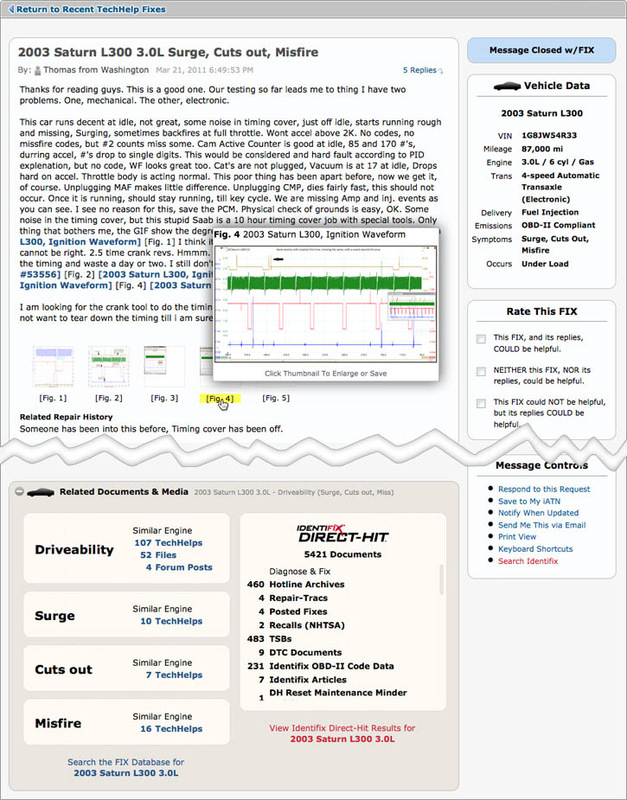 The FIX Database, available only to premium members, provides a searchable interface to 257,976 TechHelp requests, updates and fixes, searchable by vehicle, symptom, OBD-II trouble code, and more. Premium members can also read the 1.9 million replies received from other iATN members for these help requests. The screenshot below gives you an idea of what the FIX Database search results look like. 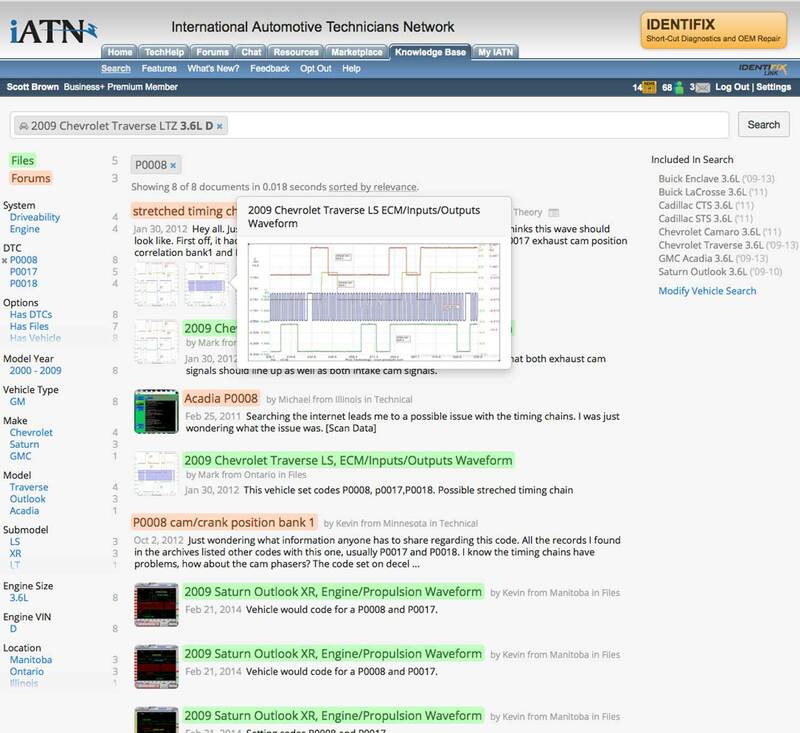 The example TechHelp request below highlights not only the original request, which included some waveforms posted by the member for extra detail on his issue, but also the related documents & media found on iATN, and our sister company Identifix's Direct-Hit product. Not shown in the screenshot are the replies received by the member on their help request, and the fix they posted describing how they solved the issue with the vehicle. Continue to the description of our next Knowledge Base feature, the Forum Archives.